When you live in a country where rain is a regular occurrence, it becomes a fact of life, almost an annoyance. Particularly in areas where precipitation is a year round affair and where the prospect of uninterrupted spells of rainfall implies inconvenience, damp and blocked sunlight for long periods of time, the subject of rain becomes a topic of distaste; a phenomenon which necessitates the need to temporarily flee one’s normal abode in search of warmth and sunshine. Not so in places where rain is not so common. Such as Malta during the long, hot, dry summer season. A place where week after week of warm to hot sunny days prevail almost uninterruptedly between late spring and late summer: around twelve weeks of hot, dry weather which burns the countryside dry and lets you wonder at the resilient patches of green vegetation which defy the furnace-like quality of what they face and survive almost without a drop of soothing water for sustenance, except for the occasional heavy dewfall which is absorbed through their leaves. Those of us who inhabit such areas are generally sensitive to a particular sensation which is most magnified when it rains after a long dry period. I term this sensation, the smell of the rain. A wonderfully rich and refreshing earthy smell which brings great joy. An indicator of change to come. The first airborne drop of relief in advance of wetter days ahead. I used to think that this sensation was something that was simply an undefinable feeling. Some primitive switch to which humans in dry places are programmed to respond. Until an architect friend of mine told me that there is actually a word for it! Petrichor. A combination of two distinct words, petra and ichor designed to embrace and encapsulate the feeling that has been arousing my senses since childhood. Petra stands for stone while ichor stands for the more esoteric fluid that flowed in the veins of the Gods in Greek mythology! So there you have it: a heavenly fluid mixing with the very earth on which we lesser human mortals stand. Producing a sensation of what flows through the Gods’ own veins! No wonder the feeling of euphoric refreshment which the smell of the first rain brings. Researchers theorise that the smell of the rain, or petrichor is caused by a combination of factors. Part of the smell derives from an oily substance exuded by certain plants during dry periods which is absorbed by clay and rocks on the ground. When it rains after a lengthy dry spell, the oil is released into the air along with another compound, geosmin, a metabolic by-product of certain bacteria which is emitted by wet soil, producing the distinctive scent. The smell can be further compounded by ozone which is generated by lightning during a thunderstorm. The purpose of the oil is to slow down seed germination and plant growth during the lethal dry season. It is only when the rain dissipates the oil in the ground that the seeds get the go-ahead to germinate. This would indicate that the plants produce the oil in order to safeguard the seeds from germination under duress. Just imagine what is taking place whenever you feel this exuberant high! As each raindrop lands on the porous surface of the sun-baked ground, air trapped in the pores forms small bubbles, which float to the surface and release spray-like aerosols. Such aerosols carry the scent, as well as bacteria and viruses from the soil. Gentle rainfall tends to produce more aerosols which explains why petrichor is stronger and more noticeable after light rains. As to why it excites us so much? Scientists believe that humans react so joyfully to the smell of the rain because our ancestors may have been hard-wired to rely on rainy weather for survival. Blood of the Gods splashing on dry stones or complex organic chemicals released by plants and bacteria? Whatever the origin, the magic remains for all those who like me are sensitive to its timeless pleasure. A clothes line amidst the fennel stalks. A hot August morning on Comino. The rising sun’s heat is tempered by the occasional straggling cloud providing a few overcast seconds of relief and a stiff breeze of Majjistral, Malta’s prevailing north west wind which is nature’s alternative to refreshing air conditioning. We are on our annual pilgrimage to this desolate little island. Arid, but full of life. Ruggedly beautiful with ever changing scenery. A two and a half square kilometre island. One tiny corner of which, its Blue Lagoon, is over-run by up to five thousand visitors daily. Leaving the rest to people like us. A fair deal, I think. Amazing how even on such a small landmass, you can just climb the small hill overlooking Cominotto Island and all evidence of the crowds dissipates into thin air. No sight, no sound. Nothing. We have climbed from the inlet of San Niklaw and walked across Comino’s main thoroughfare, Triq Kemmunett. At the location of the old Bakery building we take a sharp right and climb steeply up Triq il-Gvernatur, the road leading to the imposing Santa Maria Tower, part of a network of coastal watchtowers built by the Knights of St. John. Our final destination today is the small mooring place at Wied Ernu, a tiny cleft in the island’s southern coast which used to serve as the landing for boats from Malta during the time of the twentieth century agricultural colony on Comino. The colony is long gone, but its remains, mostly in ruins and disrepair are spread all over the island. On the way back, a small sign of human activity. One of the handful of people which stayed behind when the colony disbanded in the late 1960s. True Comino-born and bred. Hanging clothes to dry on a line. Surrounded by stalks of wild fennel. A beautiful sight. A sign of humanity’s resilience and adaptability. And oneness with nature. The fresh breeze, the aromatic smell of ripening fennel seeds and the slight waft of damp, clean laundry hanging out to dry in the wind. Elements which make me return to Comino year after year. For most people, the suburb of Floriana is merely a place of transit en route to Malta’s capital Valletta. This is indeed a pity, for Floriana, in spite of its relatively small size, features a rich variety of places to visit, foremost amongst which its numerous public gardens, mostly on the extensive network of fortifications which were built as an outer buffer to the massive bulwarks defending Valletta itself. One of the oldest of these gardens is the Argotti Botanic Gardens on the Marsamxett Harbour flank of Floriana. The garden’s oldest parts date back to 1741 when they served as the private domain of the Portuguese Grandmaster of the Order of St. John in Malta Dom Fra’ Manuel Pinto da Fonseca. They were later cared for and extended by the Bailiff Ignatius de Argote et Gusman from whose family name the corrupted name Argotti originated. During the Knights’ period, the gardens were used to grow medicinal herbs and plants bearing in mind the Order’s Hospitaller vocation only to be later transformed into the Botanical Gardens we see today during the early years of the British period in 1805. Amongst the Argotti Garden’s treasured possessions one finds an extensive and internationally recognised collection of potted cacti which are available for public display in the enclosed area managed by the University of Malta and which is generally accessible by appointment with the Curator during office hours. The photo which is the subject of this short entry shows an area of dense foliage in the Gardens which is dominated by an impressive giant cactus which looks like some surreal creation from Salvador Dalí’s paintbrush. The Neo-Gothic building in the background is the Wesleyan Methodist Church which was designed by architect Thomas Mullet Ellis in 1881 and was completed in 1883 under the direction of Poulsen. It was inaugurated for religious worship on the 18th March 1883. A snapshot of yet another of those nonchalantly and perfectly co-existing Maltese paradox landscapes: a decades old New World cactus flanked by a South East Asian ficus and a North African date palm in a herb garden designed by eighteenth century Catholic warrior monks with a nineteenth century Protestant place of worship filling up the background! In Malta spring comes early. At a time of the year when the countryside in most European countries is still bare, grey and dormant, the Maltese countryside thrives under the magical combination of rainfall, sunshine and generally mild temperatures. The result: a multi-hued carpet of green that appears in late autumn and explodes into a riot of wild flowers from January until May. Then, in complete contrast to nature on the European continent, the Maltese summer comes, and with it a period of dormant nature which shrivels up and goes underground in reaction to the merciless sun and the total absence of rainfall. 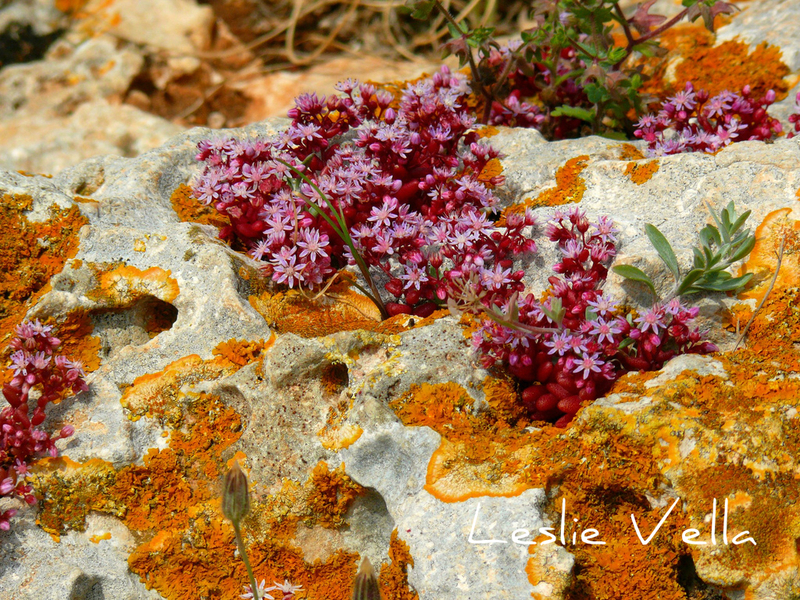 Malta is blessed with hundreds of wild, flowering plant species which is a bit of a paradox considering its small surface area, its relative isolation from the mainland and its high population density. The number of wild plants is truly amazing and compares quite well to numbers found in much larger countries such as the UK and Italy. Owing to our insularity, some of these plants are also endemic, which means that they are found nowhere else on Earth. Other species are not necessarily endemic but are limited in spread to a small neighbourhood near Malta such as Sicily and the smaller Italian islands located to our south-west such as Lampedusa and Linosa – a relic perhaps to a time of much lower sea levels when all these islands formed part of a larger, and now mostly submerged, landmass. As is to be expected, some species thrive far better than others. 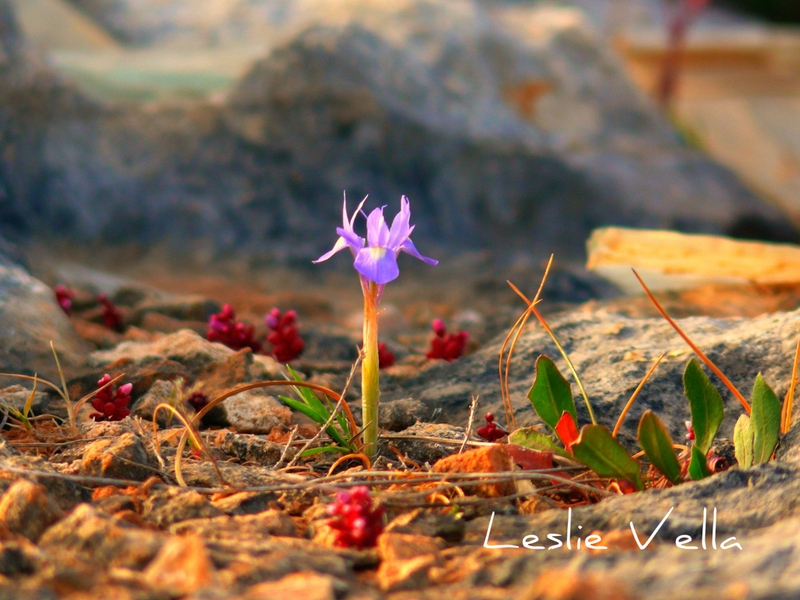 The rarer ones tend to be limited to threatened or scarce habitats such as wetlands and sand dunes, of which there are only a handful in the Maltese islands. Others, such as the French narcissus, have been reduced to an endangered species through indiscriminate picking for selling. In spite of this, however, one finds the success stories, consisting of species which continue to thrive in spite of all the adversity thrown their way: species which not only cling to their preferred natural environments but also adapt and spread even in the most disturbed and damaged of habitats. 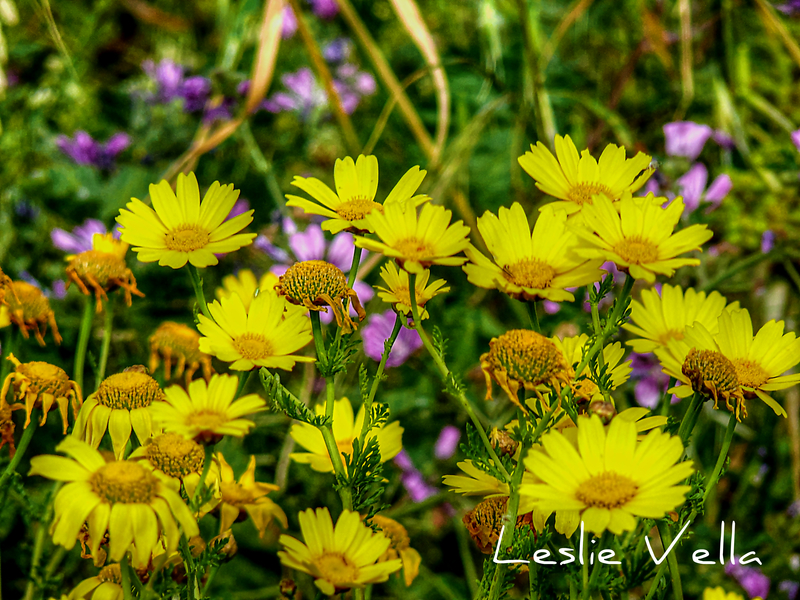 One such species is the crown daisy, the Maltese Lellux. 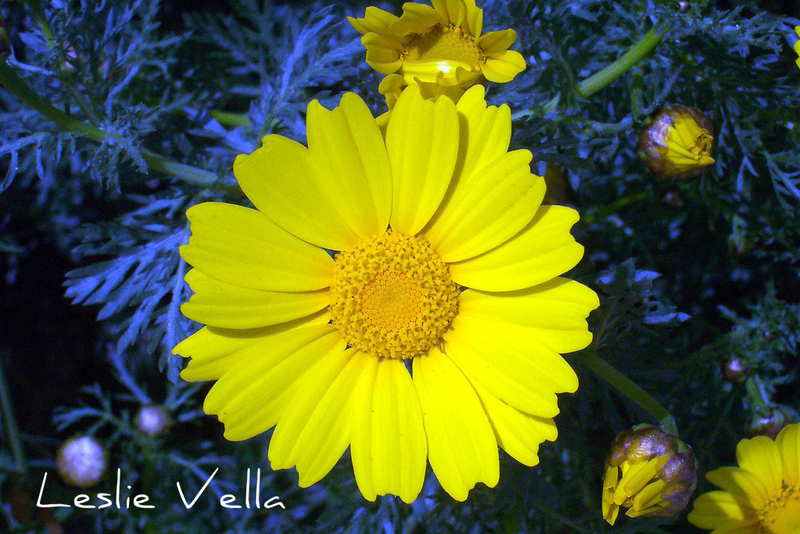 The crown daisy is undoubtedly one of Malta’s commonest flowering plants, embellishing the countryside with yellow flowers between winter and early summer. It vies for attention and competes for space with another common species, the cape sorrel (https://leslievella.wordpress.com/2013/02/04/the-english-plant-of-malta/), another yellow flowered species. But contrary to the cape sorrel, which is an invasive species that originated in South Africa and was introduced to Malta during British rule in the nineteenth century, the crown daisy is a definite local, being found all over the Mediterranean. While the cape sorrel starts flowering as early as December and generally lasts until April, the crown daisy makes a slightly later appearance although it lasts until the very late spring, with some hardy patches even surviving into the early weeks of summer. In common with the cape sorrel, it is distinguishable through its tendency to carpet entire areas, such as is usual during this time of the year. Although very common, it does tend to be quite selective in its growing requirements, preferring fields and soil-rich disturbed ground whilst avoiding areas rich in clay or the harsher garigue environment. 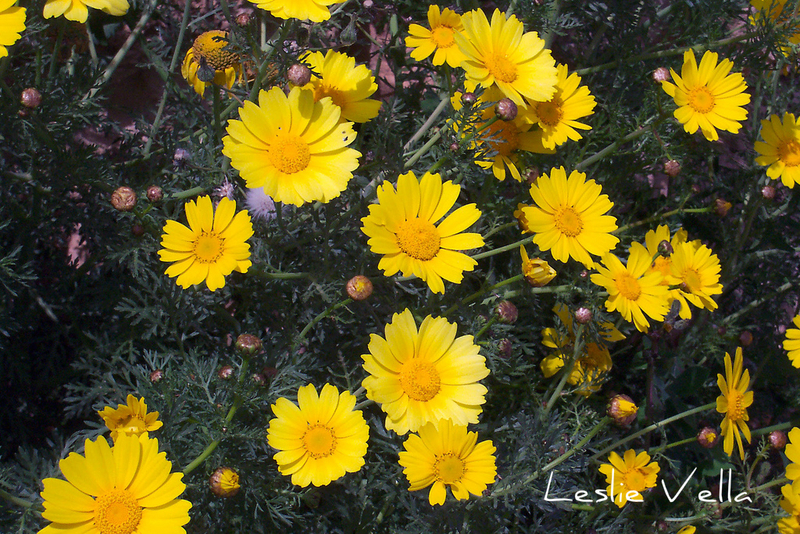 The crown daisy comes from the sunflower family from the group collectively known as chrysanthemums. The word chrysanthemum is a composite of the two Greek words chrysos and anthemon which mean golden flower. Its Maltese name, lellux or lelluxa seems to derive from the word tlellix which means to shimmer, possibly in view of the shimmering effect caused by the huge carpets of flowers rippling in the spring sunshine. The plant’s Maltese name is however more than aptly used in the expression “isfar lellux” which literally translates into “as yellow as a crown daisy”, implying the plant’s traditional placing as the yellow flower of Malta, before the cape sorrel’s introduction. The crown daisy flower features two main parts: the central circular part which packs in scores of yellow, tube-shaped disc-florets together with a ring of ten to fifteen yellow petals known as ray-florets. Upon maturity each flower turns into a fruit containing hundreds of seeds. Given that each plant produces many flowers, implies that it also produces thousands of seeds which simply fall to the ground where they are transported underground by insects. These seeds germinate into new plants with the advent of the winter rains. Although the majority of crown daisy specimens produce totally yellow flowers there is a rarer variant of the plant which produces flowers with a yellow centre and discoloured petals where the upper one half or one third of the petals are white instead of yellow. Although rarer than the yellow standard, the discoloured variety is common enough to notice once you look out for it. It has been noted that the discoloured variety is easier to find in late spring than during the initial months of the plant’s annual appearance in Malta. A countryside walk at this time of the year in an area with fields will undoubtedly feature huge swathes carpeted with lellux. It is yet another common plant which we tend to ignore, pass by and take for granted, but which can provide a source of relaxed fascination if one merely stops to admire its simplistic beauty even for just a few minutes. Its predominance indicates that the Maltese early spring is already at its peak whilst also indicating that the dry, hot months ahead are only eight to ten weeks away. Go out and spend thirty minutes enjoying its splendour before this year’s cycle comes to an end and you have to wait until early next year for the spectacle to return! 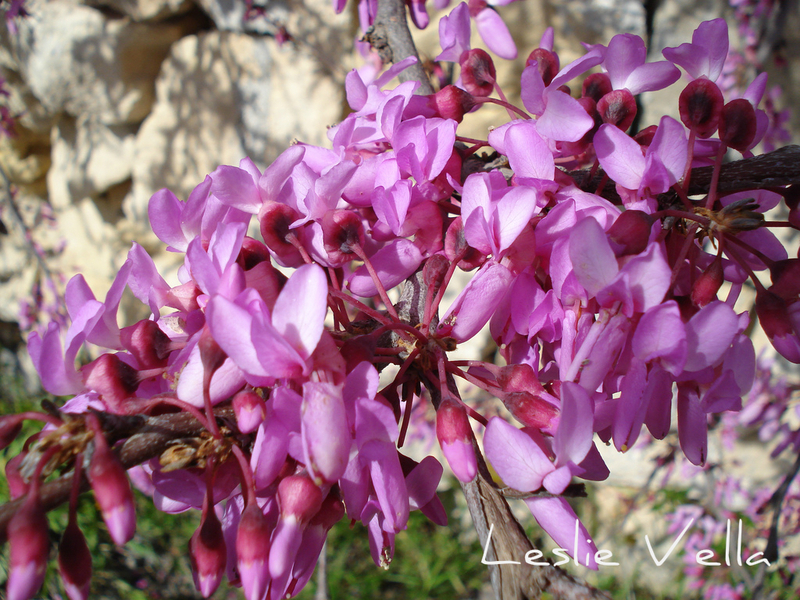 One of the most beautiful trees gracing Malta at the moment is the Judas Tree, a deciduous tree which loses all its foliage during the winter months but bursts back into life through an explosive, colourful and prolific display of pink flowers which sprout from all over its branches even before its new leaves make an appearance. 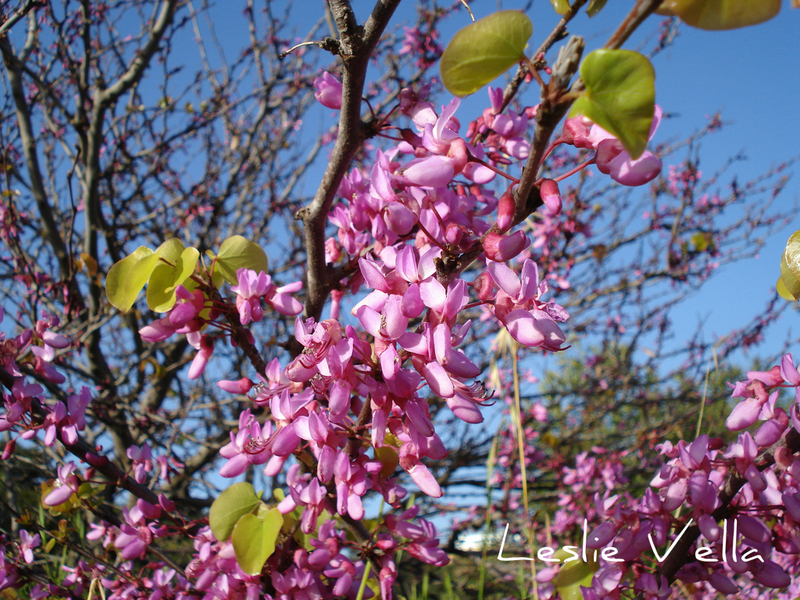 The Judas Tree’s annual display follows in the footsteps of the Almond tree (https://leslievella.wordpress.com/2013/02/17/the-blossoming-almond-tree-the-first-sign-of-an-approaching-spring/) which predates it on the blossom front by around six weeks and acts as the first signal that winter is making its way to spring. Following this short floral display the tree settles back as a rather plain specimen which does not really stand out, but its short period of fame ensures that almost everyone is aware of its existence and nomenclature. During the autumn it produces vast quantities of seed-pods which hang on its branches until they are ready to fall off to the ground as the tree gears up for its winter sleep. 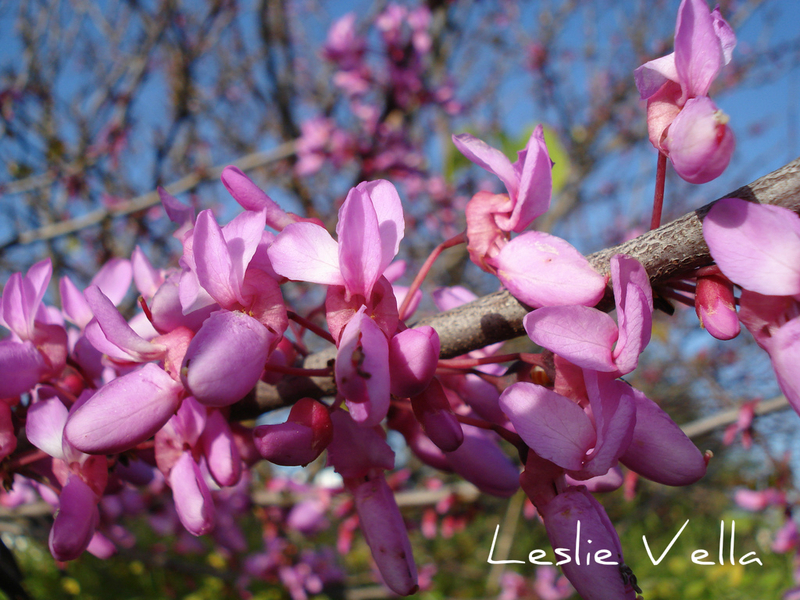 As a child I was brought up believing the legend that the Judas tree always flowered around the time of the Christian celebration of Good Friday to commemorate the fact that the traitorous Apostle Judas Iscariot hung himself on one of these trees in remorse for having betrayed Jesus to his enemies thereby leading to his crucifixion and death at the hands of the Romans. The tree’s flowers used to be white until this sad event after which they turned pink in shame! This was a dogmatic fact which I had no reason to doubt given the tree’s precise timing to burst into flower just in time for the Easter holidays! However, it is nowadays believed that rather than being the tree on which Judas Iscariot hung himself, the term Judas tree probably evolved from either one of two sources: either a mistranslation of the French Arbre de Judée or Tree of Judea due to the tree’s proliferation in the Middle East or alternatively because the way its seed pods dangle from the branches is reminiscent of a body hanging from a tree. 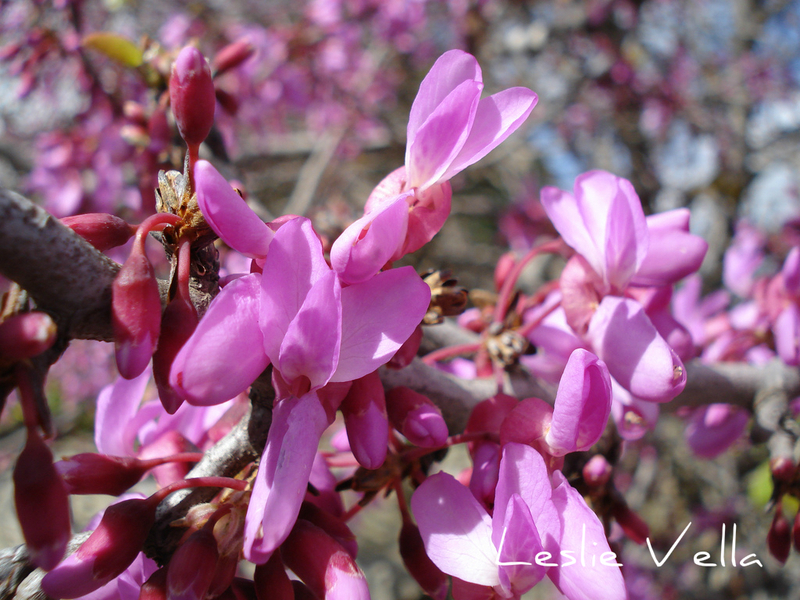 Its Latin name is Cercis siliquastrum and it is to be found spread all over Southern Europe and Western Asia. Fossil records show that this tree was already in Malta before the advent of man, making it one of our truly indigenous (native) trees. It was however totally exterminated by land clearance and grazing until it was re-introduced as a cultivated, mostly decorative species to line roads and squares in the previous century. In places such as the Buskett woodland the Judas tree is recognised as having become naturalised, which means that the introduced specimens have fully adapted to and are naturally reproducing in their new environment. A little tree with a great legend and an even greater spectacle for a few weeks every year. Stop for a few seconds and savour its beauty before another glorious season passes by! One of the most underestimated and undervalued of Malta’s landscapes is undoubtedly the garigue. To the unobservant eye, the garigue is a sheer waste of space: desolate ground which is dominated by low lying “weeds” sprouting from amongst a tough rocky surface strewn with boulders and rocks. Even linguistically, the Maltese language reserves the harshest of terms when describing the garigue through the use of the word xaghri. Xaghri derives from the word xaghra which in turn derives from the Arabic sahra for desert from which the name of our famous sandy neighbor down south originates. So in our native tongue our garigue is our desert: land which is useless and sterile, land which has no worth or value in terms of productivity. Value, of course, is a very relative term, especially when interpreted in terms of the historical context of the origin of a word. In past times, when this land’s inhabitants eked a miserable living from a very moody and unpredictable agriculture, land which did not generate food or sustenance was considered useless. Thus we see our countryside subdivided into three distinct types: the raba’ saqwi or irrigated farmland which comprises fields with an available supply of groundwater and can thus be used all year round, the raba’ baghli which is made up of all the fields which do not possess groundwater but rely almost exclusively on rainfall, thereby restricting use to around half the year only and the xaghri which is of no agricultural use and is therefore, quite logically, a sterile desert. Such is the feeling of uselessness associated with the garigue, that there is still a scheme which provides incentives to “reclaim” garigue by smothering stretches of it with a soil cover and turning it into a field. Such “land reclamation” is rendered justifiable through the logic of converting unproductive land into a food-producing field. 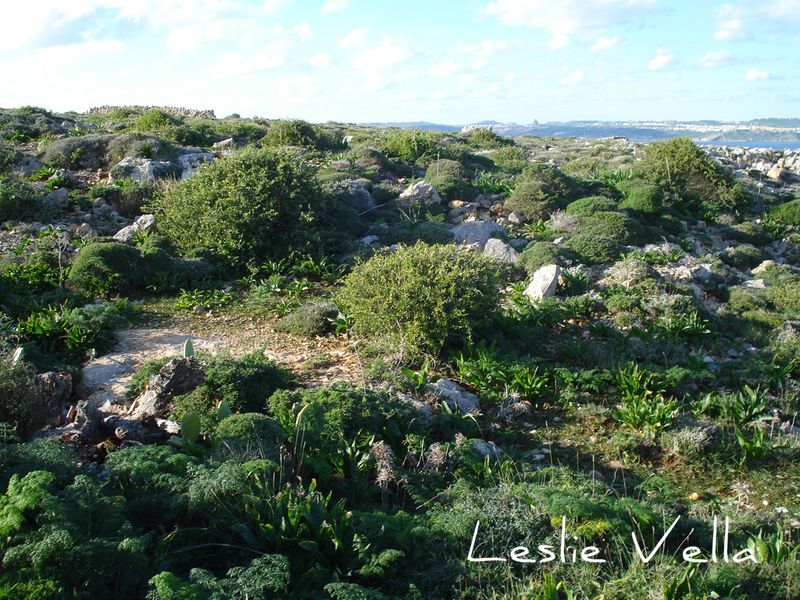 Although such a practice is today strictly controlled and regulated, given the protected status which most surviving stretches of garigue possess, one still encounters recent examples of such “reclamation” in areas such as L-Ahrax tal-Mellieha. Where do we find garigue in the Maltese Islands? The prerequisite for this type of ecosystem is an area of exposed rocky coralline limestone. This may be one of the two coralline limestone layers prevailing in our geology: Upper Coralline Limestone (Qawwi ta’ Fuq) or Lower Coralline Limestone (Qawwi ta’ Isfel). 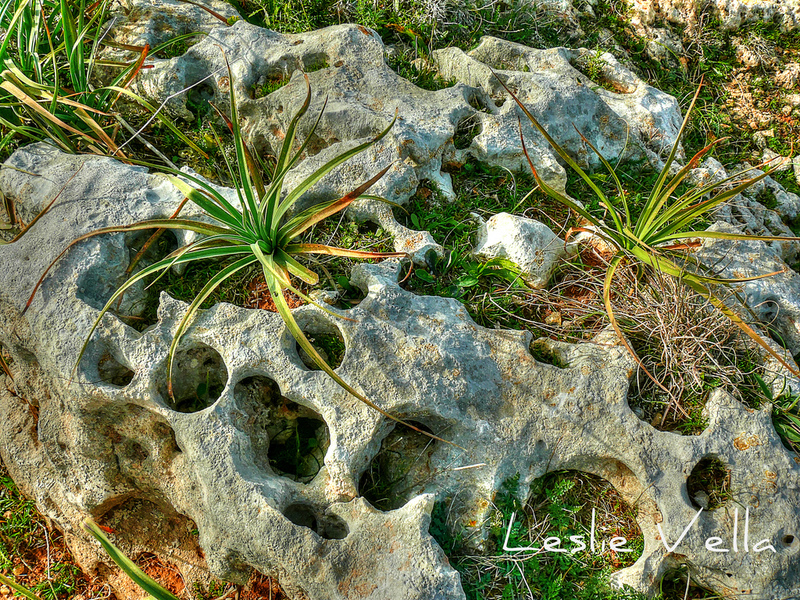 This type of limestone is a much harder variety than the globigerina (gebla tal-franka) with which Maltese houses are built, but over the millennia, it has become scarred and potholed through the action of acid rain reacting with its constituent chemicals. These potholes eventually collect enough soil to support a thriving population of shrubs and other herbaceous plants. The resulting vegetational community is collectively known as garigue. Sometimes garigue can also be found on valley sides. Garigue formation depends on a variety of dynamic factors and it can also form where the ground is exposed or where it has been subjected to grazing, fires and other human disturbances. Interestingly enough, the poorer the landscape, the richer the variety of the garigue! In exposed places where there is little soil, it forms the highest vegetational stage in terms of diversity while, elsewhere, it may be observed to be in one of the “successional” stages as a result of arising from, for example, the destruction of woods or maquis. Garigues with dense high shrubs are called phryganas (which can be described as an interim step between garigue and maquis) so when one sees garigues full of large shrubs of Mediterranean Heather, Wolfbane, Shrubby Kidney Vetch, Germanders, Maltese Spurge etc, they are called phrygana garigues. True garigue tends to have very low lying shrubs, like Thyme and Olive-leaved Bindweed. Thus, one can distinguish between mature garigue formations which have existed for many thousands of years and others which have formed more recently due to changes in land use. Thus when fields are abandoned, soil may erode away and if the rocks become exposed, garigue may develop on it, a process which can take several decades until it stabilises. In spite of the less than flattering nomenclature that we label this habitat with, it is perhaps surprising to most when faced by the fact that close to 500 of our 900 or so indigenous plant species can be found in our garigue landscapes! And each particular stretch of garigue has its own mix of plants thus making each area unique and different from the other. Thus we find that there are several types of garigue depending on the dominant species; for example we have garigues dominated by thyme (saghtar), others dominated by the endemic Maltese spurge (tenghud tax-xaghri) and high garigues dominated by the tree spurge (tenghud tas-sigra). All of this, besides the numerous other herbaceous species such as orchids (some of which are endemic), irises and various types of wild leek and garlic. In the Maltese islands we are fast losing our garigue communities and consequently we have been losing a range of endemic and indigenous species. For me, the best stretches of garigue in the Maltese Islands are the ones on Dingli Cliffs, Pembroke, the Park tal-Majjistral, Qammieh and L-Ahrax tal-Mellieha on Malta and the entire area around the Ta’ Cenc Cliffs from Mgarr ix-Xini to Xlendi on Gozo. Comino is another garigue paradise. To enjoy the garigue you have to zoom in on the small and the huge diversity will focus into your field of vision. Masses of vegetation become individual species, flowers become distinct. The changes of the seasons bring about an ever shifting garigue. September witnesses the flowering of the Sea Squill in vast quantities to signal the end of summer while the November rains will bring about a profusion of Erica multiflora, a beautifully flowering species. The various species of orchids arrive in succession between January and April, while February witnesses an explosion of Branched Asphodels. Spring brings with it a profusion of flowering species including the blue stonecrop, the endemic Maltese sea chamomile and the wild artichoke amongst others. However, and by far, the plant which I associate most strongly with the Maltese garigue is undoubtedly the Mediterranean thyme or saghtar which carpets huge swathes of xaghri and fills the air with its aromatic and exotic fragrance. 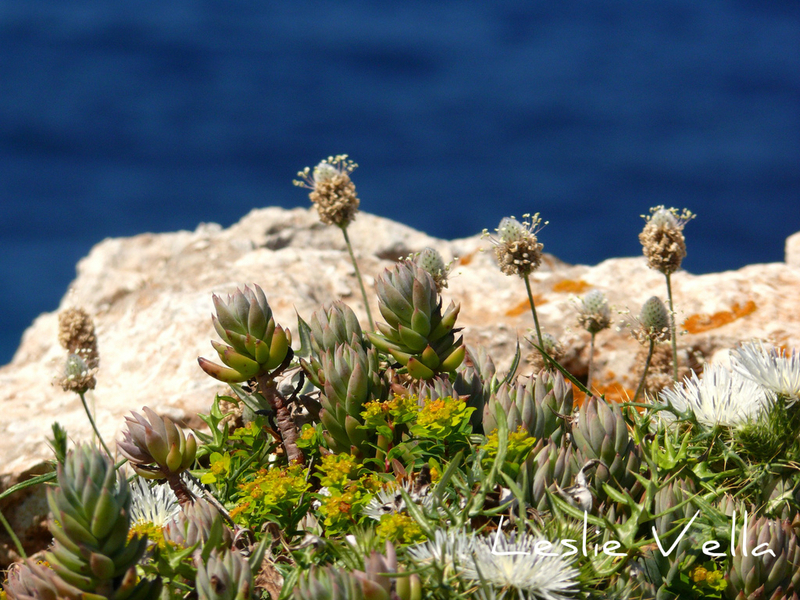 A low lying and greatly unassuming plant, the thyme flowers in late spring and attracts scores of honey bees which in turn produce the wild thyme honey for which Malta has been famous since classical times. Find a patch of saghtar and run your hands through it and then smell the fragrance and you will fall in love with the garigue forever! Like flowers growing out of bread crust………. 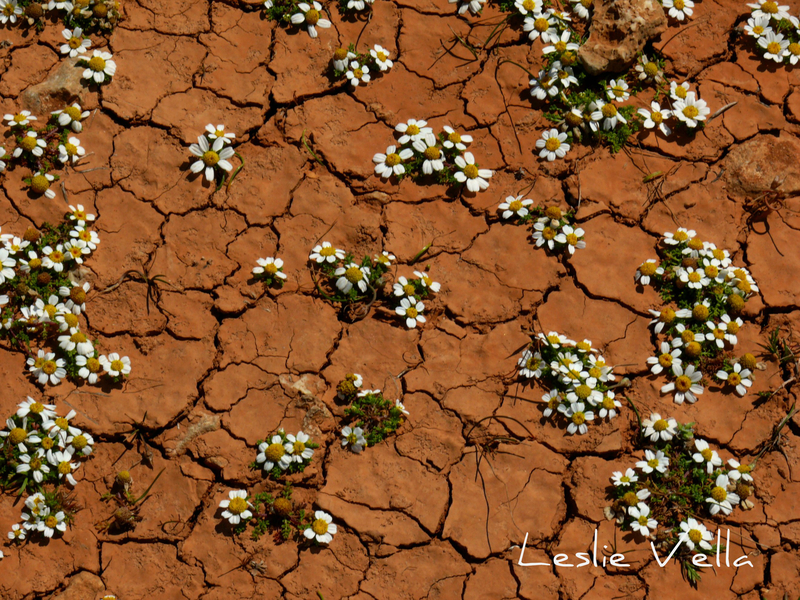 Like flowers growing out of bread crust…….. So described it a friend of mine when he saw this photo when I took it in the Park tal-Majjistral (http://www.majjistral.org/majjistral-org/) on Malta a couple of springs ago. And indeed it does! Reminiscent of a freshly baked Maltese loaf with its cracked brown crust but with the unusual addition of patches of beautiful tiny flowers. Nothing to do with bread however. Actually a very common scene from the Maltese coast during the spring. The bulk of the rainy season over, the shallow soil cover on a patch of rocky limestone garigue already cracking dry as the shallow water pool which previously flooded it after a rainstorm has evaporated. Leaving behind it large patches of an often ignored or unnoticed tiny flower which grows in carpets along the coast very close to the sea. 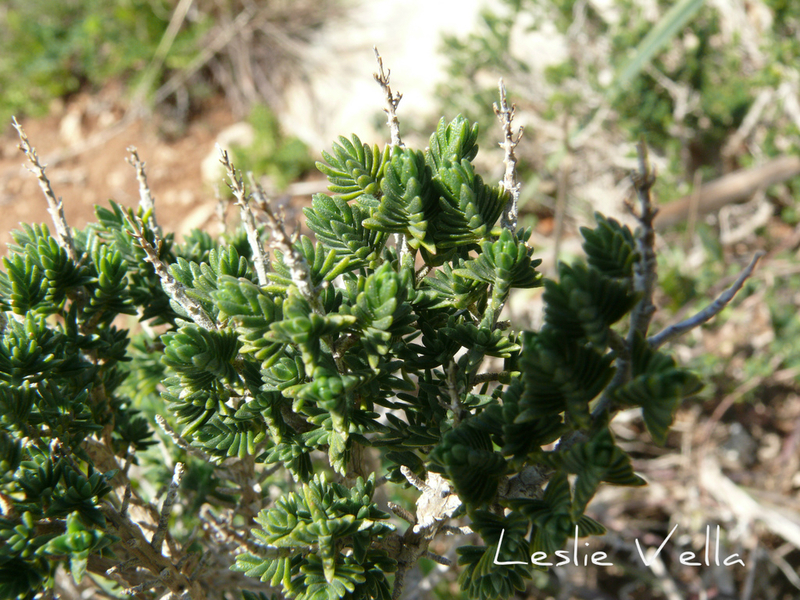 A plant which is very special owing to the fact that it is endemic to the Maltese Islands. Endemic means unique and therefore not found anywhere else on Earth. Something which can only be enjoyed here. 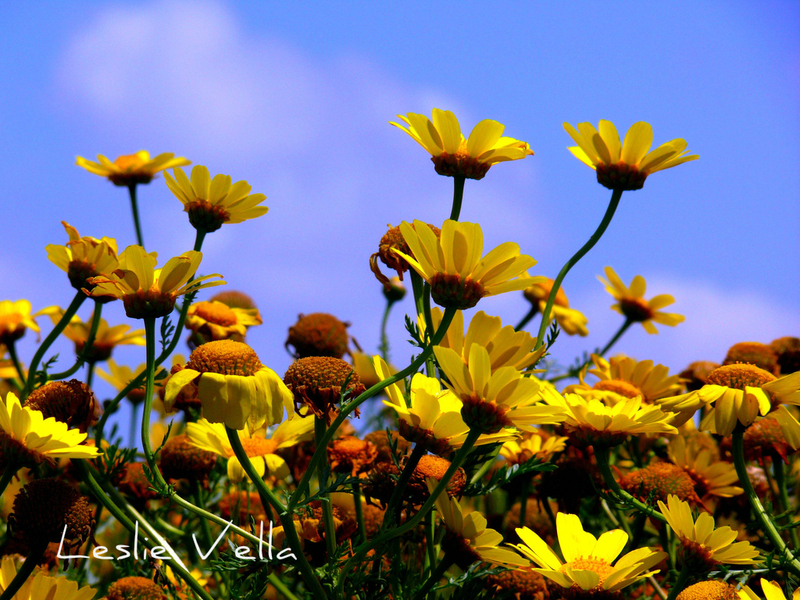 The Maltese sea chamomile, Anthemis urvilleana, the bebuna tal-bahar. 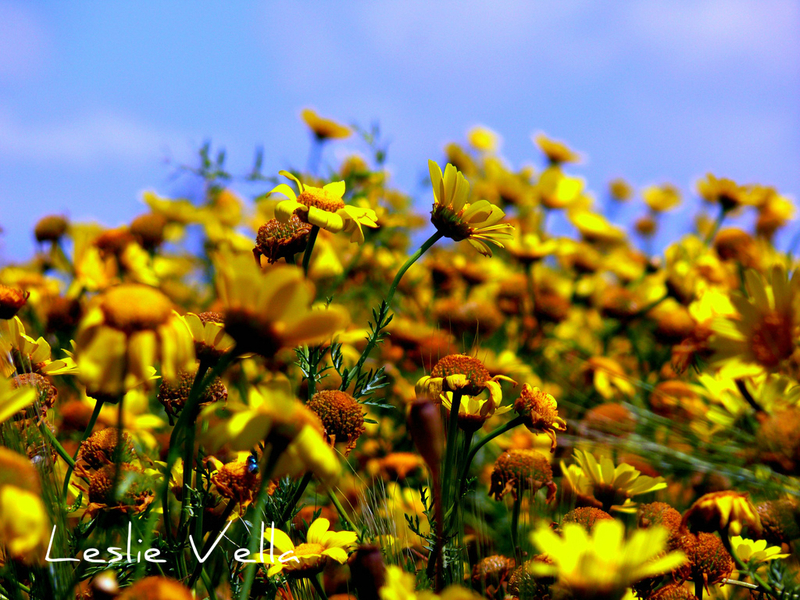 Its English name stems from its strong chamomile-like odour while its Maltese name simply translates into “sea daisy” owing to its preferred coastal location. Endemicity is a fascinating phenomenon normally associated with islands: species which evolve independently and become unique due to isolation. Malta obviously has its fair share of endemic species too, but most are rare, scarce and threatened. Not so our humble bebuna tal-bahar! Clinging to the harshest of environments, growing out of the most impoverished patches of thin soil and yet thriving without fuss. And adding unique charm and colour to our spring floral spectrum through its simple beauty.